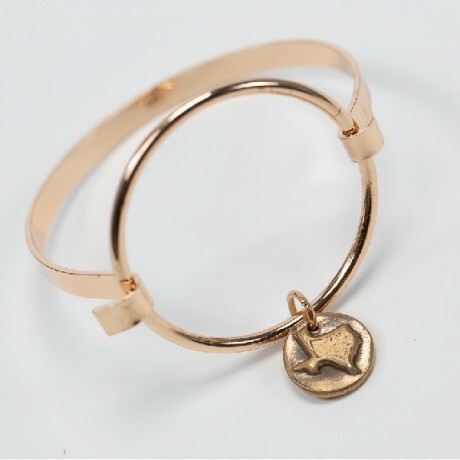 This is the perfect bangle to wear alone or with other pieces and comes with a small TX bronze charm. This iconic charm is one of the original designs that Chickeeboom has made for the last eight years. Chickeeboom is based in Dallas, TX.